Sisters Educational Options (SEO) is a premier public online learning experience that serves Sisters area students in grades K-12. We are an educational support system designed to give students, in partnership with families, a great education. We are a high-quality public school program that offers the innovative use of technology as well as individualized learning plans for each student that accommodate a wide variety of learning styles. 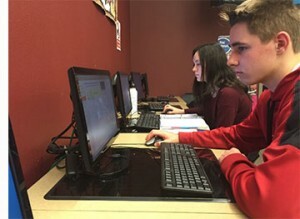 We promote a flexible learning environment that allows students to work 24 / 7 on their classes from any computer with internet access. Students can work ahead to challenge themselves and complete classes at a faster pace.